This chapter was brought to you by AnmesicCat, Baddiez, BDark, Hikaru, Lei, and SlightlySane. When Weed said he would leave Kuruso, the Dwarves were disappointed. They had become friendly through quests and sculptures. Blacksmiths did not often leave after settling in Kuruso. It had all the facilities and materials for blacksmithing, so there was no need. He had acquired the secret skill of sculpting! Although he was unable to find the wooden sculpture that the Sculpting Master had hidden somewhere, he had perceived the secret skill of sculpting on his own. He had used over 300 Art stat to create the spirits, but at the end of his grinding he had recovered them all. In the end, all he would leave behind were memories of gruesome grinding in the Dwarven City of Kuruso. Although of course, there were thrilling memories of when he restored Kendellev’s water sculptures hidden deep within the lake. Though it was a tradition, Weed was uncomfortable and tried to refuse. Herman saw right through Weed’s thoughts and began to speak. The word present changed Weed’s mind. It would be a joyful thing to leave with his belly amply stocked and his hands full of gifts. The rivalry between the craftsmen meant they felt extreme jealousy towards craftsmen who were more outstanding than themselves. However, Sculptors are not craftsmen and therefore were not regarded as competition, so everyone was comfortable with them. This was also a big part of the reason why Weed was able to become friends with Kuruso’s 5 Great Craftsmen, including Herman. He could just receive them and give heartfelt thanks for them. Weed thought the Dwarves were an unexpectedly romantic race. When Weed left for the lake to plan a new sculpture, Pin asked Herman. He just didn’t say one thing. That it’s customary for the leaving Dwarf to pay the drinking tab for the farewell party. Over 1,000 of Kuruso’s Dwarves gathered in the plaza next to the lakefront and drank beer. On the lake, there were duck sculptures made of water making ripples on the surface as they leisurely moved about. From beneath the water enormous whale sculptures were splashing up and about, creating rainbows. The fantasy-like scenery that Kendellev’s sculptures showed, and the beer drunk in the Underground Kingdom! The Dwarves were busy drinking beer from the barrel. Although their mood probably played a part too, Kuruso really did have incredible tasting beer. They were an existence in Kuruso that the Dwarves could only respect; they boasted that the beer made by Kuruso’s Beer Artisans had the best taste. Dwarves find joy in drinking beer and happily getting drunk. They have the racial characteristic of liking beer. Their concentration, as well as several stats and skills, increases when they drink beer. If they fully rest for a day after getting completely drunk, they are back to their best condition by the next day and are able to make goods. Every time they slammed empty iron cups to the table and saw the positive changes that occurred, the Dwarves felt rewarded. Weed moved from place to place and was busy drinking the offered alcohol. Since he was to some extent the main character of the farewell party, he had to participate. The Soldiers and Warriors praised Weed. The way the drunken Dwarves said the same thing over and over again was the most awkward part of it all! Since Weed had to move from place to place, he heard similar words, but he endured it all. The Dwarves game him shortswords, leather rucksacks, and things like bait food as presents. The bait food not only emitted an incredibly good smell, it also had the effect of putting monsters to sleep. It only applied to monsters of life, and it had the drawback that monsters with a lot of suspicion didn’t often eat it. Monsters with big frames had to eat a huge amount of the bait for an effect to appear, and there were cases where monsters gathered because of the bait. However, even taking into account the drawbacks, its considerable effects made it a type of dish that sold for high prices. Talented chefs had to make it with excellent ingredients, so the amount produced was low. In the warm atmosphere, Weed received and stowed away gifts. But Dwarves who were giving him their well-wishes suddenly tilted their heads. The Dwarves were wondering about the Wings of Light that Weed had granted life and stored away separately. Weed explained in an evasive way. As they drank their beer the Dwarves smiled brightly, their doubts relieved. The evasion went well because the Dwarves had drunk alcohol. – Intoxication level is going up. As Weed received and drank the offered beer, he became rather pleasantly tipsy. Though it was to the point where he had an unsteady gait, Weed walked over and received a glass topped to the brim with beer. The Dwarves were a race that didn’t like to drink it sip by sip. Weed superbly drank it all down in one shot. As Weed ate some appetizers and walked around, he even got to drink alcohol with Exper. He was one of the 5 Great Craftsmen, and when Weed had first come to Kuruso his had been the first name he’d heard — the artisan who had songs made in his honor. For Weed’s farewell party, all 5 Great Craftsmen had come here. Though he was drunk, he made an effort to match Exper’s mood. -You have acquired the Spear of the Fire Lance that was made by Artisan Exper. With a furtive check, he found it to be an incredibly excellent spear with over 78 attack power. Weed drank three glasses with Exper and moved elsewhere. When he was gathering plenty of presents again, Kuruso’s farewell party distinctly came to a climax. The Dwarves were boisterously making a clamor. As Herman and Pin also drank beer with some Dwarves, they became extremely worried. To the point where Herman clicked his tongue, almost every Dwarf in Kuruso was participating in the farewell party. The Dwarves could feel that this might be the last farewell party, and there were many Dwarves who were only slightly related to Weed. Towards the Weed who might become the best Sculptor, there were many Dwarves who came because they wanted to build a personal connection with him. Even though it was past midnight, the farewell party showed no signs of ending. Weed even received a glass of beer from Fabio, one of the 5 Greats. Fabio was in his mid-forties,had broad shoulders, and keen eyes. Though it was Weed’s first time meeting him in person, through broadcasts and films, his was a face Weed had seen many times. The most famous artisan Dwarf, who was believed to have enormous wealth and had outstanding Blacksmithing skills. Weed was one step away from being totally drunk. – Intoxication level has severely risen. All stats are temporarily reduced. As a result of the drinking he was getting dizzy, and his hand was trembling, but he endured with willpower. Compared to the mental training he’d learned from SwordNoob, he could tolerate this degree of alcohol. By strength of his will, Weed straightened his posture, and though his hand trembled, he did not spill a single drop of alcohol and received it. The look in Fabio’s eyes deepened. As Fabio downed his beer, Weed also followed and drank. 2 beer mugs were emptied. Both of them filled each other’s mugs. At Fabio’s words, Weed raised his gaze. The whites of Weed’s eyes were red and bloodshot as a result of his intoxication, but they were deep and strong. Fabio’s eyes became more intense. They were not eyes meant to investigate Weed. As a person aged, insight formed and their temperaments strengthened. Following their impression from even their first meeting, it was possible for them to approximate what kind of person they were, what kind of nature they had. Fabio’s temperament was like rough and thick steel. It was strong, and did not break easily. Ordinary users were intimidated from simply meeting Fabio. But Weed didn’t appear even a little daunted. Weed was handling and using steel; he was walking the path of the sword. He would treat the sword as an extension of his body and endlessly devote himself to it. Even the steel-like aura of Fabio subsided in front of Weed like a torch before a typhoon. Fabio threw away the judgement that he was dealing with a Sculptor, and acknowledged Weed as one of the few men who had frankly surprised him after he’d met them in person as he played Royal Road. He also decided to give him the option of choosing his gift. The majority of the armor he made was engraved by Weed’s hands. Since Fabio already knew that, he was telling Weed to choose what he needed! Though Fabio made the armor, he believed that the person was the most important in the end. In the middle of asking the question, Fabio looked like he himself had just found the answer. Fabio changed the evaluation he’d made of Weed. He noted that Weed’s Blacksmithing skill was considerable and that he was an extremely high-level user. As he mentally grumbled, he swore quite a bit too. That was because even out of the armor he had made, the Pauldrons of the Iron Wheel was at the peak of his works. As Weed collected presents, he reached Herman as well. His body staggered and he was unable to steady himself. Weed guzzled down the beer. Then, Herman took out a pair of earrings. As an advanced accessory, effects of attacks that used Mana were amplified, so this was an extremely valuable item for not only Magicians, but everyone. At the very least, it was an item worth 30 thousand gold. Weed’s head dropped down, then, as if he’d suddenly come to, quickly raised it. This was a slack appearance of Weed that wouldn’t ordinarily be seen. Weed’s efforts to stay in control by sheer force were obvious to the eye. A smile formed on Herman’s lips. In the middle of talking, Herman tched. It was because Weed’s head had been falling down inch by inch and then completely folded forward. Weed must’ve fallen into a deep sleep, because he could not come to. Herman looked over the area and found Dwarves tipsily drinking beer, same as ever. He saw many Dwarves who were so drunk that they’d spread-eagled their short two arms and legs and fallen asleep. Herman shook his head back and forth. Then together with Pin, they laid Weed in a corner. The drinking party looked like it would be going all through the night, and there were many Dwarves holding a glass of alcohol who came looking for him, so Herman was deeply immersed in conversation. And then at some point, when he turned around he felt something was missing. Weed, who had collapsed and fallen asleep because of his intoxication, had disappeared like magic! One dwarf pointed towards the exit leading above ground with his finger. Herman’s tipsiness completely flew away. Then he hurriedly whispered Weed. After calling him several times, Weed’s reply came through. Humhum! Have you sobered up? No, not yet. I think I’m gonna die from nausea. It must be tough after drinking that much. Alright, when are you planning to come back. I was going to go aboveground to get some fresh outside air. Even as Weed was replying, he was running toward the coal mine and was quickly making his escape. He’d completely seen through it — he’d seen that the Dwarves had no inclination to pay as they drank the beer. He didn’t let his guard down even as he drank. And the escape that utilized exquisite timing! Look here, how can you just leave like this? Why not. I thought the farewell party was pretty much over. That… You have to pay for the drinking tab. What did you say? Was I supposed to pay for that? Weed sent the whisper with a tone that said that was ridiculous. It was a bewildering moment for Herman. Weed spoke again. You should have told me sooner, sir. If you had done so I would have paid before I left. Ahem. How about returning even now and paying. The drinking tab… let’s see, it should be a little over 3,500 gold. For them to have drunk over 3,000 gold of beer, it was something impossible if not for the Dwarves’ stupidly enormous drinking ability. I have already left for the road, so how can I return. How about we do it like this. Please pay for it for now, Grandpa Herman. Next time I’ll repay you. Looks like we’ll have to do that then. Alright. Later on you have to repay me for sure. Don’t worry. Who am I? Hahaha! Weed came out of Kuruso Kingdom and arrived at Iron Hand Village to turn in the quest. As a Sculptor, when he left the kingdom he was required to offer 1 sculpture, so he took out the parrot sculpture that he usually carved and had kept with him. Compared to the Sculptor Weed’s fame, it was a truly small item! Although the sculpture would stay in Kuruso as something Weed had made, he had no interest in that kind of honor. Weed also heard the conversation of the Dwarves in Iron Hand Village. The powerful Resurrection Army that Daymond led was menacing the Versailles Continent. Earlier they had avoided a monster swarm invasion, drought, and a flood, but Daymond’s invasion this time was becoming the greatest crisis of the Versailles Continent. This talk was a topic in the Dark Gamer guild too. 60 thousand gold was an enormous sum. It was enough to get people aiming for a quick fortune and encouraged Daymond’s assassination. However, it was difficult to sneak through by routing the Demonic Spirts’ attention, and there was also a lot of talk about waiting because of predictions that Daymond’s bounty would increasingly rise. Weed entered the Sculpting Guild. No matter what crisis troubled the continent, the Sculptor Guild was still the same. The Dwarves who were sorrowfully learning the Sculpting Skill while being scolded by the instructor! They recognized Weed’s face as he opened the door and came inside. The Dwarves were secretly gleeful. When Weed received the request they had worried that he might possibly succeed, but at the sight of him returning covered with dust and without any energy like that, they figured that he had failed. Although the discovery of Kendellev’s sculptures had already circulated through Royal Road broadcasts, by the look of it these Dwarves were completely in the dark. Weed walked towards the Instructor. Sculpting Instructor Jorbid politely asked. Weed opened his rucksack and stuck in his hands. After rummaging through the items in the rucksack, he grabbed something. Then, he pulled out something enclosed in his two hands. As Weed parted his two hands, a confined bird made of water flew out. The bird sang out with a bright voice as it went around and around the Sculptor Guild. The Sculpting Instructor Jorbid could not hold back his deep emotion. The comical sculpture in the shape of a sparrow flew in between the Dwarves. The Dwarves had on a shocked expression that looked like they had seen a new world. Their jaws didn’t drop this much even when they were guzzling down beer. Meanwhile, it was difficult for the Dwarves to accept this new sculpture. From the stereotypes they possessed, they could not be convinced that the bird made of water that was flying around was a sculpture! Sculpting was a three-dimensional art. If it was something a Sculptor made, and was visible or if the idea could be grasped, anything could become a new attempt. As if Weed couldn’t remember himself looking down on the Sculpting profession until not too long ago, he maintained a dignified expression. The Dwarf instructor grabbed his hand. – You have completed Sculpting Instructor Jorbid’s request. The legendary Dwarf Sculptor Kendellev’s sculptures were in Kuruso. After finding out about his sculptures, Humans and Elves that are wise craftsmen will no longer be able to criticize the Dwarven Artists. – Fame has gone up by 130. – Evaluation of you in the Sculptor Guild has improved. – In racial prestige, respect toward Dwarves has increased by 3. – Friendship with Thor Kingdom Dwarves has increased by 82. Dwarves will throw aside the pickaxes to help you in your work. – Level has gone up. The Sculpting instructor held out a pair of black gloves. Honestly, Weed was more expectant of the reward item than the levels or fame. Through quests from the Elves, for the most part friendship or affinity with spirits increased. In the case of the Humans, you could obtain fame, a reward, or a special status or profession. With the Dwarves, especially Thor Kingdom’s case, through quests they gave you good items; it matched Weed’s tastes perfectly. – You have acquired the reward item from the request. Gloves that delicately gleamed with a black luster. Gloves that were personally made and used by Thor Kingdom’s Seventh Blacksmith, Spindal. Even while doing Blacksmith work he had adventures, so in order to make the gloves perfectly comfortable while catching Orcs, he made them through a lot of trial and error. Although they were produced for Blacksmiths to use, they can be utilized in a wide variety of uses. Requirement: Intermediate Handicraft and over. Level 150. Option: When equipped, Blacksmithing skill +1. Effect of Handicraft skill +5%. When using long-range weapons, casting speed is improved. As he’d expected, it was a high-class item. Though the level requirement was low, with the Intermediate Handicraft limit it was an item that not just anyone could use. The very talented Dwarf Sculptor’s artifacts are still suspected to be left somewhere. 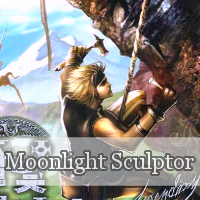 Find and restore the additional sculptures that Kendellev left in Thor Kingdom. Difficulty: Dwarf race Sculptor quest. Reward: Honor of the Dwarves. Quest requirement: Limited to Dwarf, Sculptor. The still unfinished Kendellev’s quest! However, Weed shook his head. There were things Weed had to do, and he wanted to end the sculpture searching with this. The Sculpting instructor nodded morosely. – You have refused the quest. Your intimacy with Sculpting Instructor Jorbid has slightly fallen. Although intimacy had dropped a little, the Sculpting instructor liked Weed all the same.